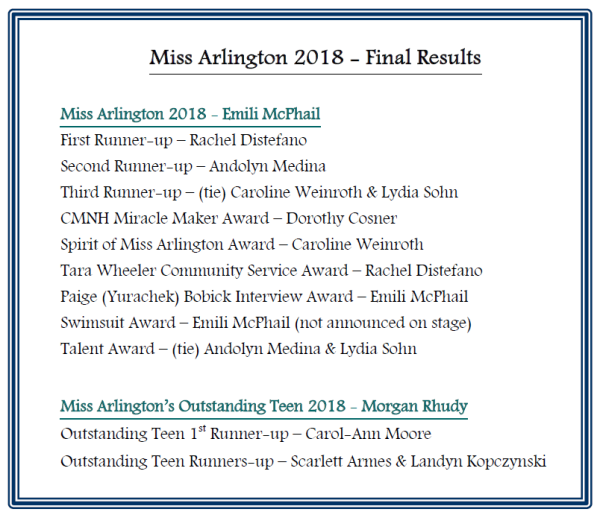 Photos from the 2018 Miss Arlington Pageant provided by Julius Tolentino. 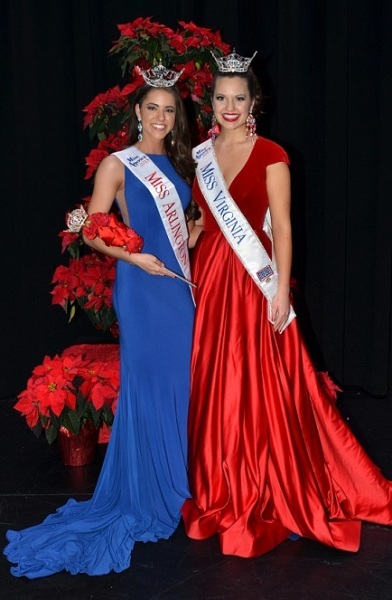 (Left) Two Hollins girls - Miss Arlington 2018, Emili McPhail, with Miss Arlington 2017, Cecili Weber. 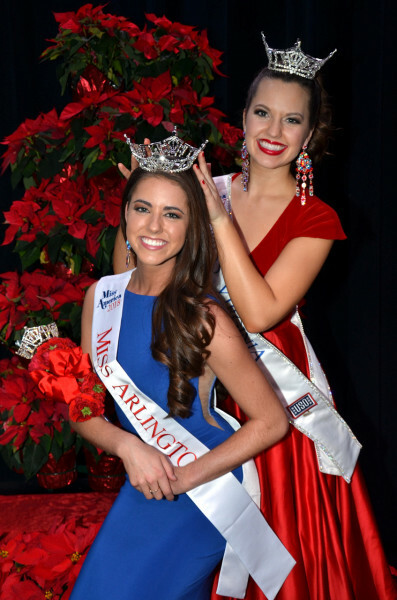 (Right) Miss Arlington 2017, Cecili Weber, crowns Emili McPhail the new Miss Arlington 2018! 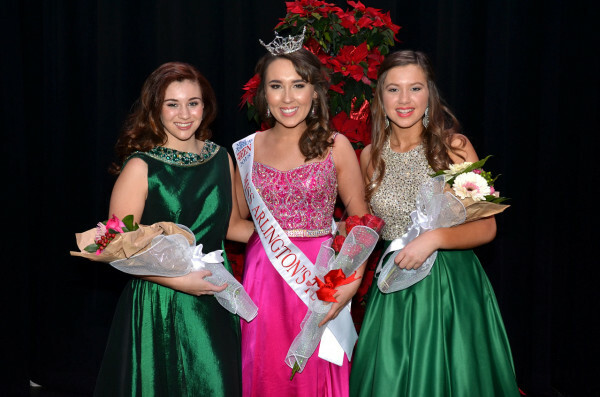 (Bottom Left) The new Miss Arlington's Outstanding Teen 2018, Morgan Rhudy, with Runners-up Scarlett Armes and Carol-Ann Moore. 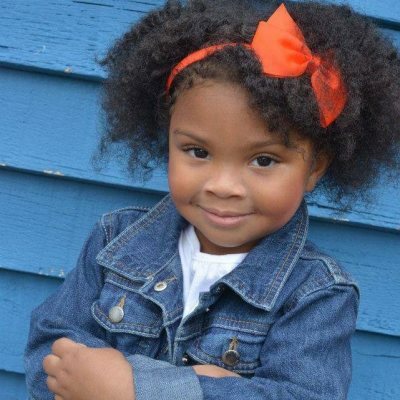 ​Would you like to donate to our scholarship fund? 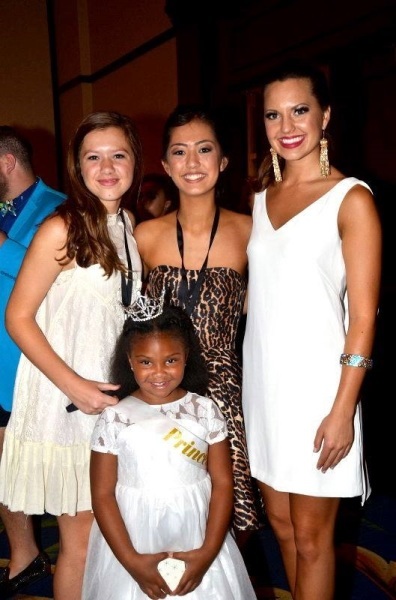 In addition to grass roots fundraising, we rely heavily on the generosity of our pageant family, friends, and community to support our scholarship fund. Any amount is greatly appreciated. at the Berglund Center in Roanoke. Your dedication, hard work, sweet disposition, and compassionate heart shined through. 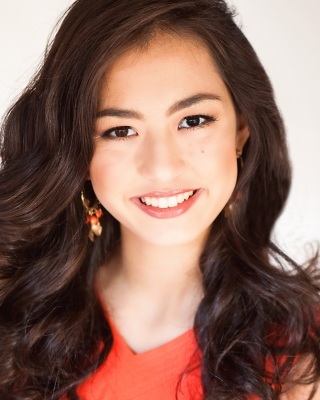 Your growth from winning our local title to the state pageant was incredible. We love our little "pageant nerd." Your mission to save the world is well underway! Miss Virginia 2017 by Michaela Sigmon, Miss Virginia 2016, at the 2017 Miss Virginia Pageant on June 24, 2017, in Roanoke. 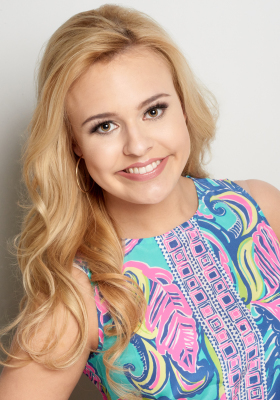 for winning the Title of Miss Virginia's Outstanding Teen 2017! We love our Princess & Teen in Training!